10.2: Seminar: Spirituality of ministry; readings on the minister as person, private, public and holy. Canon Roslaind Brown is a renowned hymn writer and Canon Librarian of Durham Cathedral, with responsibility for the public face of the cathedral’s life including visitors, education, the Library, pastoral care and relationships with the wider community. Michael Ramsey, The Christian Priest Today (London: SPCK, new ed., 1992), Chapter 9, ‘The Ordination Gospel’ (pp 61-67). Archbishop Michael Ramsey (1904-1988) was the 100th Archbishop of Canterbury (1961-1974). After a curacy in Liverpool, he became a lecturer to ordination candidates at the Bishop’s Hostel, Lincoln, when he published The Gospel and the Catholic Church (1936). His parish postings included Saint Bene’t’s Church, Cambridge, before he became a canon of Durham Cathedral and Van Mildert Professor of Divinity at Durham. He then became the Regius Professor of Divinity in Cambridge (1950), Bishop of Durham (1952), Archbishop of York (1956) and Archbishop of Canterbury (1961). In prayer, we need to be mindful of the needs of others, and in ordained ministry we have a responsibility to help and to teach others to pray. To do this, we need to develop our own prayer lives, so that praying does not become a neglected activity and a forgotten part of our lives. Fixing a pattern for regular prayer could include using the office (Morning Prayer and Evening Prayer), valuing silence, being regular at the Eucharist, and praying as you read Scripture, and not just studying it. But what about being priests at prayer? In his Letter to the Philippians, the Apostle Paul tells the Church in Philippi: ‘I thank my God every time I remember you, constantly praying with joy in every one of my prayers for all of you …’ (Philippians 1: 3-4). In preparing for ordination, most ordinands realise that prayer – their own prayer life, praying for others and being a person of prayer – is a major expectation in our vocation and ministry. My experience is that whatever else people want of us, as priests or clergy, they want us to pray for them and to pray with them. However, Rosalind Brown and Christopher Cocksworth say that ‘almost without exception’ prayer is the one area that clergy admit to feeling they are failing to meet their own expectations and hopes, quite apart from the expectations of those we minister among. Too often, as clergy, we end up with feelings of failure and guilt, feelings of being unable to pray as we wish to. Many clergy know what it is to wonder whether their parishioners or members of the congregations would lose all trust for and respect in them if they only knew the paucity of their prayer life. The other side of these feelings of guilt and failure, is the feeling that comes when we are spending time in prayer and keep getting the nagging feeling that the time would be better spent “doing” something more productive. Prayer is at the heart of our ordained ministry. At your ordination, you will be reminded in the words of the ordinal that as deacons you are called to ‘strengthen the faithful’ and to ‘lead the people in intercession’ (The Book of Common Prayer (2004), p 555), and that as priests you ‘are to lead God’s people in prayer and worship, to intercede for them …’ (The Book of Common Prayer (2004), p 565). Bishops too are to ‘pray for all those committed to their charge … and to lead the offering of prayer and praise’ (The Book of Common Prayer (2004), pp 576, 577). All of us in ordained ministry – deacons, priests and bishops – are asked at our ordination by the bishop: ‘Will you be diligent in prayer …?’ The response is: ‘With the help of God, I will’ (The Book of Common Prayer (2004), pp 556, 566, 578). Archbishop Rowan Williams writes of the ‘three-ness’ of prayer for those who have been ordained: ‘If you have the charge of priesthood laid upon you, then the Sunday liturgy, the Daily Office and private prayer are simply there, and there is no way around them, even if you should want one. They are part of the bargain, and they grow on us as we increasingly sense in them something of the sovereignty of God. In this way, they become both a commitment and a joy, even if there are times when we would rather be doing something else. The ‘three-ness’ is not a matter of law or rules, but a part of the essence of being Christian.’ (Rowan Williams, A Ray of Darkness: Sermons and Reflections). At the opening of the prayers at the ordination service, the candidates for ordination are reminded that ‘none of us can bear the weight of this ministry in our own strength …’ (The Book of Common Prayer (2004), pp 557, 567, 578). So, where do we go to seek and draw the strength to pray? Despite those prayers at ordination, we do not suddenly become paragons of prayer when we are ordained. Indeed, whether or not you have disciplined prayer life, you know by now that you do not pray and cannot pray on your own strength. In that weakness, I find it reassuring when the Apostle Paul reminds me: ‘The Spirit helps us in our weakness; for we do not know how to pray as we ought, but that very spirit intercedes with sighs too deep for words. And God, who searches the heart, knows what is in the mind of the Spirit, because the Spirit intercedes for the saints according to the will of God’ (Romans 8: 26-27). The ordination charges to be diligent in prayer, to intercede for the people, to lead the people in prayer and worship, and to teach them by word and example are possible to fulfil only because of the empowering of the Holy Spirit. A daily rhythm of prayer creates a growth that may remain imperceptible to us individually. But others know whether we are people of prayer. We do not have to tell them. Prayer should be and must be at the heart of our ordained ministry. Being a priest is not simply an occupation, but is a vocation, a calling. And our prayer is not one more function or part of the job description. We are called to be people of prayer, people for whom prayer is not just something we do. Rather, prayer must be the environment in which we live because we live in God. But how do we work at making and maintaining prayer as the priority it should be in our ministry? we enter heaven with prayer. In this hymn, Montgomery suggests that prayer is our natural environment, not something that we do under duress at certain times, because it is a task or burden, or because it is one the obligations imposed on us as a condition for ordination. Prayer is the intimacy of our life in God. Prayer is being ‘lost in wonder, love and praise.’ Prayer is the short glance in God’s direction. Prayer is the awe and wonder felt at a beautiful sunset. Prayer is the pain or the pleasure as we listen to news. Prayer is the cry of help when there are no words to express those feelings and no words to describe that need. Prayer is the silence of being in God’s company in sorrow and in joy. Prayer knows nothing too high to be too majestic or too low to be too mean for bringing before God. Prayer, like breathing, is the underlying rhythm and pulse of life. Or as Michael Quoist says in one of his books: ‘Everyday life is the raw material of prayer’ (Prayers of Life, 1966). But how do we work to overcome those difficulties that sometimes stop prayer from being the soul’s desire, that stop prayer from coming from our heart as easily as the simplest form of speech, that stop prayer from being as natural as breath? When we are full of joy, prayer may come easily in terms of words and actions. But when we are broken-hearted, bruised, tired or confused, we may find that all we can do is present ourselves, physically, in our place of prayer without finding words. Some of the weaknesses in prayer that each of us is familiar with include not having enough time, and being distracted constantly by other thoughts in our minds or other events taking place around us. When we find difficulties in prayer are crowding around us, and the words cease, the thoughts wander, and we want to escape from the place of prayer, it is worth remembering that at times our presence alone is sufficient prayer. 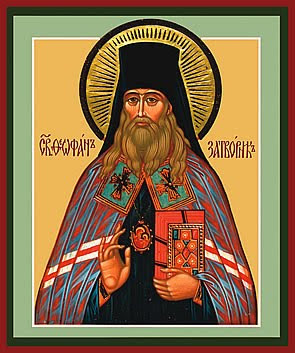 Among the inspiring and great teachers on prayer is Saint Theophan the Recluse (1815-1894). A persistent theme in his writing was the task of developing an interior life of continuous prayer, learning to ‘pray without ceasing,’ as the Apostle Paul teaches (I Thessalonians 5: 17). Priestly ministry calls on us to live on the boundary between earth and heaven, to be at home in both worlds, to be able to speak of each in and to the other. But how do we ensure that we have an interior life of continuous prayer that is the driving force for everything in ministerial life? Some advice that may help people in ordained ministry who find that their commitment to prayer is becoming difficult would include the following: do not worry, slow down, be disciplined, keep priorities in focus, do not get too upset or worried about techniques of prayer, do not try to be perfect. You know the saying, ‘It could happen to a bishop.’ Bishop Alan Abernathy has conceded: ‘I must say that I still find prayer very difficult. There are days when I cannot pray. There are days when I do not want to pray. There are days when I wonder if am living a lie’ (Fulfilment & Frustration, p 120). When you face difficulties, remember that you are not alone. Everyone in ministry has these feelings at different times. Indeed, everyone has these difficulties. Kenneth Leech has written: ‘There is no need to rush around feverishly looking for a prayer life: we need to slow down and look deeply within. What is the point of complaining that God is absent if it is we who are absent from God, and from ourselves, by our lack of awareness … At heart, prayer is a process of self-giving and of being set free from isolation. To pray is to enter into a relationship with God and to be transformed by him’ (Kenneth Leech, True Prayer). This is not a canonical requirement for us in the Church of Ireland. But it is a good and useful, tested discipline. You will be under pressure to do, rather than be. Being a priest is much more important than doing the things that people think we should do as priests. We are ordained to be ministers of word and sacrament and to be people of service and prayer. But you will constantly under pressure to do things – under pressure from parishioners, from other clergy, even from your bishop do so many things that you were not ordained for. At times, that pressure may be so great that you are finding there are unacceptable pressures on your prayer life and the time you give to prayer. That pressure was recognised over 60 years ago by Evelyn Underhill when she wrote: ‘We are drifting towards a religion which … keeps its eye on humanity rather than Deity, which lays all the stress on service, and hardly any of the stress on awe: and that is a type of religion which in practice does not wear well. It does little for the soul in those awful moments when the pain and mystery of life are most deeply felt. It does not provide a place for that profound experience which Tauller called ‘suffering in God’. It does not lead to sanctity, and sanctity after all is the religious goal.’ (Evelyn Underhill, Concerning the Inner Life with The House of the Soul, p 4). Do not get upset about techniques of prayer? Almost 100 years ago, the great pioneering spiritual director, Somerset Ward (1881-1962), warned: ‘It is a common reason for failure in prayer, that we are more aware of the subject of our prayer rather than its object; we are apt to think more of what we shall pray for than of how we shall pray’ (Somerset Ward, To Jerusalem, p 111). There may be times when the words of the Daily Office, Morning Prayer and Evening Prayer, pass you by and you cannot find words for prayer. But your presence is prayer itself. There may be times when the words and actions of the Eucharist or Holy Communion pass you by. But you can be assured that you are caught up in the timeless prayer of the Church, present with all the saints, and the angels and archangels, and with all the company of heaven. Do not try to be perfect? Because of the images and expectations that people will project onto you, it becomes easy to forget that we are called not be priests who are perfect, in perfect places and parishes. No. We are called to be priests and people of prayer as we are, in the lives we live today. Learning to deal with and to dismiss unnecessary guilt is an important discipline in the priestly life. Do you remember how Eli upbraided Hannah for her apparently unseemly behaviour as she prayed in the Temple? He accused her of being drunk and making a spectacle of herself. But she replied bluntly: ‘I have been pouring out my soul to the Lord,’ or, as the Jerusalem Bible translates that verse: ‘I have been speaking to God from the depth of my grief and resentment’ (I Samuel 1: 16). We do not need to feel holy as we pray, or to worry whether others will regard us holy as we pray. God meets us where we are, not where we think we should be, where we are pretending to be, or where others think we should be. Whatever you do, do not worry, slow down, be disciplined, keep priorities in focus, do not get too upset or worried about techniques of prayer, do not try to be perfect. Abernathy, Alan, Fulfilment & Frustration: Ministry in today’s Church (Dublin: Columba, 2002). Bloom, Anthony, Practical Prayer (Ben Lomond CA: Conciliar Press, 1989). Bloom, Anthony, and LeFebvre, Georges, Courage to Pray (London: Darton, Longman and Todd, 1973). Christou, Sotirios, The Priest & the People of God (Cambridge, Burlington Press, 2003). Leech, Kenneth, True Prayer (London: Sheldon Press, 1980). Quoist, Michael, Prayers of Life (Dublin: Gill and Sons, 1963). Redfern, Alistair, Ministry and Priesthood (London: Darton, Longman and Todd, 1999). Underhill, Evelyn, Concerning the Inner Life with The House of the Soul (London: Methuen, 1947). Ward, R. Somerset, To Jerusalem (ed. Susan Howatch, London: Mowbray, 1994). Williams, Rowan, A Ray of Darkness: Sermons and Reflections (Cambridge MA: Cowley, 1995). End-of-module visit: Irish Islamic Cultural Centre, Clonskaeagh (15 December 2016). (Revd Canon Professor) Patrick Comerford is Lecturer in Anglicanism, Liturgy and Church History, the Church of Ireland Theological Institute. This essay is based on notes prepared for a contribution to a seminar on 8 December 2016 in the Module TH 8824: Liturgy, Worship and Spirituality on the MTh course. 10.1: Rites of passage, e.g., Marriages, Funerals. But, at times, I think this is unfair to the people involved in these rites. These are crisis moments, the most sacred moments in life, and they note merely rites of passage, when people publicly declare the most important stages of life in front of God and in front of the community they most value … even when they are not regular churchgoers. They are not moments for evangelisation, but they are sacred moments, moments of grace, moments of joy and sorrow, moments that will most surely test your ministry. People will forgive you a badly-prepared or badly delivered Sermon every now and then; they may not notice or may soon forget when you make what you regard as major mistake in my eyes on an occasional Sunday; and they may forget who baptised their child, forget to thank you for your part at their wedding or at the burial of one of their parents … if all goes well. But they will never, ever forget, and perhaps never forgive you if you get it wrong at a baptism, wedding or funeral. For that reason alone, but also because we all realise how sacred these moments are, most new curates, and even most new rectors fret for the first years when it comes to Baptisms, Marriages and Funerals. We fret so much that we often concentrate or energies on the minute details, and forget that it all takes part within the context of the worship and the liturgy of the Church, and that we ought not be the centre of attention. We are the facilitators, the enablers, the ‘liturgical midwives,’ but we should never be the centre of attention, or do anything that makes us so. 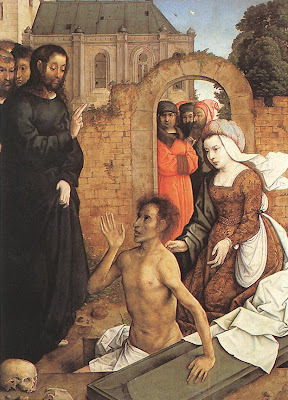 In recent weeks, we have looked at the origins and early understandings of Baptism. But do you feel liturgically literate when it comes to taking part in a baptism? Like our other services, the Church of Ireland has revised the service of Baptism in recent years. And these revisions, like all others, have been informed by the insights of the modern liturgical movement. ● Baptism comes as a response to the Word of God. What do you think is the theological underpinning of these insights? Note how the Baptismal Rite follows the sermon (see p 376). What are the responsibilities of godparents? What about family requests for a different time? ● Thanksgiving after the Birth of a Child (p 402 ff). The traditional Anglican understanding of matrimony is that Holy Matrimony is the blessing of a union between a man and woman, acknowledging the presence and grace of God in the life of the couple. The form is manifested as the vows. Despite popular belief and imagination, the blessing and exchanging of the rings is only customary, and neither is necessary for the rite of matrimony to be valid. In marriage, the husband and wife seek God’s blessing, and through the mediation of the priest, the prayer is answered. The couple are thus generally regarded as the ministers of the sacrament or the rite through their voluntary exchange of vows. And for this reason they should face each other during the marriage, and not the officiating minister. However, in the traditional Anglican understanding, the sacrament or rite must be celebrated before an ordained priest (or, in exceptional circumstances, a deacon), who witnesses and mediates the prayers. The priest or deacon has been described by Michael Perham as the ‘chief witness’ or ‘the master of ceremonies,’ and only takes over, so to speak, when the couple are married, in order to pronounce God’s blessing on the couple. For those who count seven sacraments, then matrimony was the last of the seven to be added to the list. Its origins can be found in the civil necessity that arose in the Middle Ages to regularise intimate relationships and to legitimise children. As Bishop Harold Miller points out, the Church of Ireland has always recognised the total validity of civil marriage services, as marriage is essentially an ordering of society. But it is also a ‘holy mystery’ and a sign of the ‘mystical union … betwixt Christ and his Church...’ (The Book of Common Prayer (1960), p 266; The Book of Common Prayer (2004), p 406). In these islands, the ‘Form of Solemnisation of Matrimony’ remained almost entirely unchanged from 1662 until the 1980s. The introduction to the marriage service in that older form says quite quaintly that marriage is ‘for the increase of mankind … and for the due ordering of families and households; … for the hallowing of the union betwixt man and woman, and for the avoidance of sin; [and] … for the mutual society, help and comfort, that the one ought to have for the other, both in prosperity and adversity.’ (The Book of Common Prayer (1960), p 266; The Book of Common Prayer (2004), p 406). However, things changed with the introduction of the Alternative Service Book (Church of England, 1980, pp 283-304). However, the Alternative Prayer Book (Church of Ireland, 1984) did not include a revised marriage service, and this only came about with the publication of the ‘White Booklet’ in 1987 and the Alternative Occasional Services in 1993. A little more adult and mature an approach, I should suggest; certainly a reflection of how society has changed, and a realisation that not every couple can have or choose to have children. But the wording of the services continue to agree that the Church teaches that marriage should be monogamous, life-long and between one man and one woman. In the section on Marriage Services (pp 405-438), The Book of Common Prayer (Church of Ireland, 2004) includes two marriage services, a traditional rite from The Book of Common Prayer 1926 (see The Book of Common Prayer (2004), pp 406-413), with an option for ‘Holy Communion at the Time of Marriage’ (pp 414-415), and a revised, contemporary rite (pp 416-427), with extensive notes on many of the legal requirements (see p 413, and pp 428-430). In addition, there is ‘A Form of Prayer and Dedication after a Civil Marriage’ (pp 431-438), again with a number of notes and guidelines on how this service is to be used. There are legal requirements that are going to concern you, and they vary between jurisdictions and may change even before you are priested. 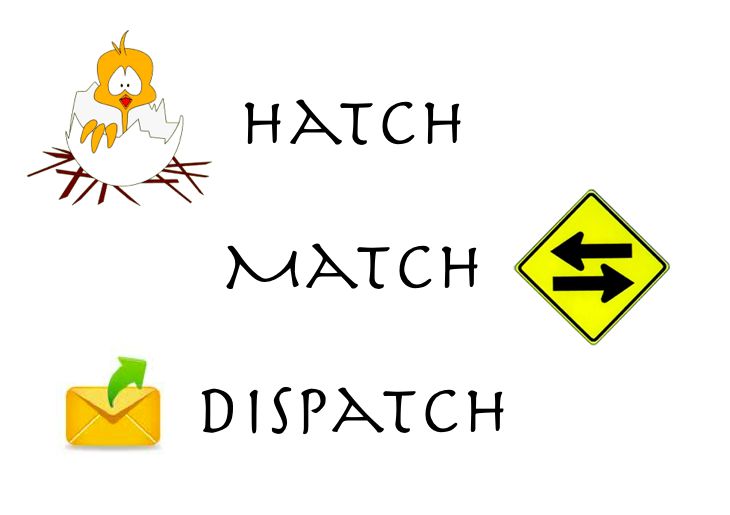 There are also canonical requirements that you need to be aware of too. For example, when it comes to a couple where one or both have been previously married and divorced, the clergy involved must, under the provisions of legislation passed by General Synod in 1996, apply to the diocesan bishop first of all for permission, and listen carefully to the advice the bishop gives in reply. If the ceremony goes ahead, the couple are required to go through a service of preparation, which has been devised by the Liturgical Advisory Committee but is not in The Book of Common Prayer (2004), although it is included by Bishop Miller in The Desire of our Soul (see pp 250-253). From a pastoral point of view you will also need to learn how to prepare a couple properly and appropriately for both the wedding ceremony itself and for future married life. All these you will learn as you go on. But of course they also impinge on how you behave at a wedding itself. And it is important to know why you are doing something, so that by understanding what you are doing you are doing it properly. If the couple are not married according to rites and customs of the Church of Ireland, there may be serious consequences for your actions. 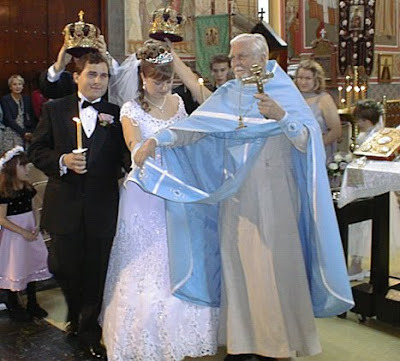 But this afternoon we are looking at the marriage rite itself, from the point of how you prepare yourself for it, what you do within your understanding of the liturgy and common prayer of the Church, and how you relate in that to the life of the Church and to those for whom you provide this office – and they are not just the couple being married! (The Grace or the Blessing). Is there a place for giving away the bride? Or for saying: ‘You may now kiss the bride’? Who chooses the readings and the hymns? How suitable are the Wedding March (Mendelssohn) – written for Shakespeare’s A Midsummer Night’s Dream? How suitable is the Bridal Chorus (Wagner) – sung after the wedding in the opera Lohengrin by the women of the wedding party as they accompany the heroine Elsa to the bridal chamber? Ave Maria (Bach and Gounod or Schubert)? Which customs and traditions do you accept? Separate sides of the church for the families of the bride and groom? The bride being walked up the nave (aisle) by her father? Signing the register in the vestry? When do they perpetuate the myth that the church sanctions patriarchy? When do they become ‘liturgical’ and sideline the liturgy itself? What about the way the pledge to ‘obey’ has been dropped? Who should lead the prayers and intercessions? Would you be embarrassed by the prayer giving thanks for the gift of sexual love (see p 426)? Should there be a sermon (see p 418)? The sermon gives the minister the opportunity to say something about marriage and about the Gospel in a less formal way than the words of the liturgy provide. But we need to take care not to repeat what has already been said, and not to end up repeating what has been said at every previous wedding we have been involved in. When and where do you allow photographs? 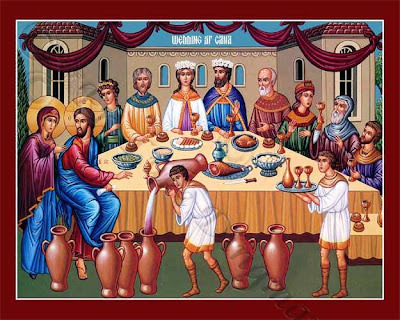 Should there be a celebration of Holy Communion (see p 428, note 5)? Do you accept an invitation to the reception and to say grace? Some dioceses, particularly in the Episcopal Church in the USA, allow for the blessing of same-gender marriages. How do you respond to this? In many parts of the Anglican Communion, there is a provision to bless civil marriages. This rests on the understanding that a couple cannot be married twice. Some Anglican provinces allow the marriage of divorced people, others do not, still others require the permission of the diocesan bishop. We often think of Services of Prayer and Dedication as option for people who have already been married and divorced, and for whom a church wedding may pose problems or difficulties. A couple who have been married in a civil ceremony, which is a legal requirement in many other countries, may then want a Church occasion in Ireland. A couple who not legally resident in terms of marriage legislation, but would still like what they will see as a ‘church wedding’ in Ireland for family, romantic or sentimental reasons. Although we ask God’s blessing on the new marriage, notice how this ceremony is not called a ‘blessing’ and should not be referred to as such. It is really a form of prayer and dedication. Nor is it a wedding, so there is a stipulation (p 438) that no rings should be given or received during it – even if it happens that the woman who has already been married wants to arrive in a veil and white dress, and with sisters or friends she may call ‘bridesmaids.’ This ceremony does not repeat what has already happened, and in the pastoral preparation beforehand this should be explained clearly. But I also heard the distressing story of a rector who would meet the funerals of the landed gentry at the lych gate entering the churchyard; the middle class coffins were met at the steps before the church door; and he waited at the top of the chancel steps for the coffins of working class parishioners to be brought into his church. But every funeral is different, every funeral is important for everyone involved, and everyone involved is important. Who do you think ‘owns’ a funeral? It is not a sacrament, when you consider Baptism, nor is it sacramental in the way that a wedding is. Nor is it merely yet another rite. But where and when it takes place, and how it is conducted is more than providing the pastoral care of the church at a moment of crisis. A Christian funeral has several purposes, which are difficult to achieve in an hour in a church or in 20 minutes at a crematorium. ● to dispose of the body reverently. How are these objectives fulfilled in the Funeral Services in The Book of Common Prayer (2004)? New Testament reading (always a Gospel reading when there is Holy Communion). The Apostles’ Creed or Te Deum Part 2 (but the Nicene Creed when there is Holy Communion). Prayer for readiness to live in the light of eternity. Other prayers, including the Lord’s Prayer. The Grace or a blessing. Note the resources and prayers that are also offered (pp 491-497). Two of the most difficult situations you may face are the Funeral Service for a Child (pp 504-513), and the funeral of someone who has completed suicide. Other resources and options include a Form for Use in the Home, Funeral Home or Crematorium (pp 514-516). ● sprinkling the coffin with the water of baptism. Who chooses the hymns and readings? What prayers should you use when you arrive at a house or in hospital to find the person has just died? What prayers do we say at an evening removal before a morning funeral (see p 498 ff)? Are we providing two funeral services? What if the person who died had no apparent faith? What if the person who died had faith, but none of their friends or family members has? Should the funeral service take place in the home? What makes a crematorium chapel different? What about secular readings, poems, songs? Is a eulogy or address appropriate? And, if so, when? Are you aware of the differences in funeral customs in different parts of Ireland? What about general memorial services in November? At another stage, I hope we shall look at the theology and rites of ordination; and issues in debates about ordination, including gender (for the Ordinal, see pp 517-590). But you will also need to be familiar with the Confirmation services, even if you are never elected a bishop, for you will be involved in preparing candidates for Confirmation, and be involved in many ways in Confirmation services. Some of the other liturgical resources provided in The Book of Common Prayer include the Service of Ash Wednesday (p 338), Harvest resources, Ember and Rogation prayers, and Ministry to those who are Sick (pp 440 ff). Michael Perham, New Handbook of Pastoral Liturgy (London: SPCK, 2000). (Revd Canon Professor) Patrick Comerford is Lecturer in Anglicanism, Liturgy and Church History, the Church of Ireland Theological Institute. This lecture on 8 December 2016 was part of the Module TH 8824: Liturgy, Worship and Spirituality on the MTh course. This is the second week of Advent. Throughout this time of preparation for Christ’s coming at Christmas, I am praying each morning and using for my reflections the prayer diary of the Anglican mission agency, USPG (United Society Partners in the Gospel). Pray that more of us, in and out of the church, would take up the cause of campaigning for women’s rights and take practical action to support women in need. Isaiah 41: 13-20; Psalm 145: 1, 8-13; Matthew 11: 11-15.